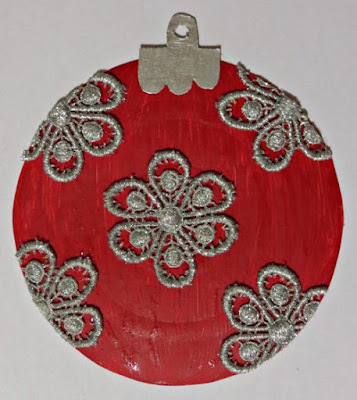 Make thrifty Christmas ornaments for this festive season. 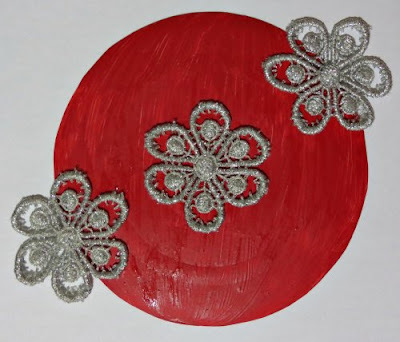 Turn two paper plates into a Christmas bauble. Decorate it with guipure lace flowers and ribbon, and add a strip cut from a magnetic sheet to the back of the bauble. Stick it onto the fridge, or get the kids to join in the fun and make a few of these baubles to string onto a garland. You can also use smaller materials to make tree hanging ornaments. 1. Place and centre the 5.1” plastic lid onto the first paper plate, trace all around it and cut out the circle. Do the same with the second paper plate. 2. Glue the two circles cut from the paper plates on top of each other. This will make the bauble sturdier. 3. 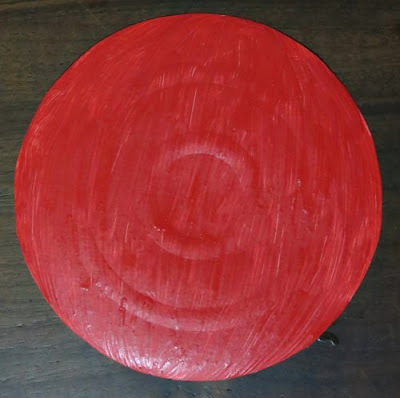 Paint the bauble with the true red acrylic paint and allow to dry thoroughly. Repeat if necessary. 4. Cut five flowers from the guipure floral lace trim. 5. Glue the first flower in the centre of the bauble. 6. Glue the other four flowers around the edge of the bauble in such a way that only half of each flower will be on the bauble. Cut off the protruding edges. 7. Draw the top of the bauble on the white cardstock and cut it out. 8. Use the utility knife to cut a hole into the top of the bauble. 9. 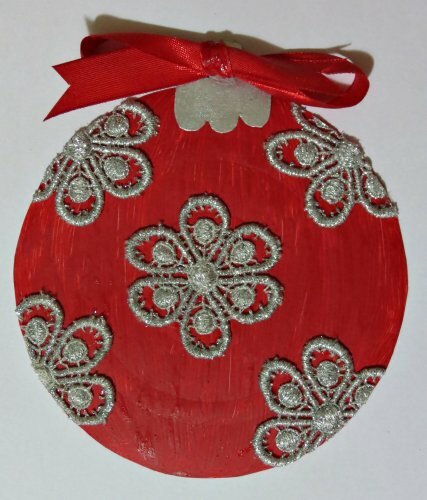 Color the top of the bauble with the Pilot silver marker pen and allow to dry thoroughly. 10. Glue the silver top onto the bauble. 11. Thread the ribbon through the hole and make a bow. Cut the ends of the ribbon neatly. 12. Add a few drops of glue to the knot of the bow, so that the bow won’t come loose. 13. Cut a strip from the magnetic sheet. Peel off the protective paper and glue the strip to the back of the bauble.